Eli at Sky Locksmith is incredible! He is very courteous and knowledgable! 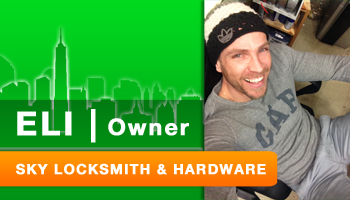 This is the only Locksmith I use on the Upper East Side! They make keys and also sell other items in the store… key rings, locks, measuring tape, etc! Eli helped me out of a jam and got me back in my apartment, and for that I am grateful!